Normal digestion, absorption, and excretion are secretly the keys to optimal health. Irritable Bowel Syndrome (IBS) is one of the most common disorders seen by physicians. In the US, it has been estimated that 10-15% of the population suffers with IBS symptoms, yet only 5-7% of the adults have been diagnosed. IBS is a syndrome with a myriad of possible causes as opposed to a single disease with a single cause. IBS Chronic Cases might need a different approach than traditional medicine provides. 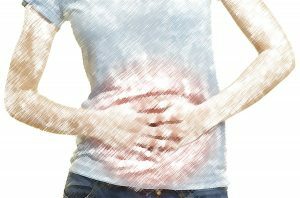 IBS is a functional gastrointestinal (GI) disorder in which symptoms are due to the dysfunction of the gut and not necessarily a structural problem. Structural problems like irritable bowel disease, GERD/ reflux, diverticulitis, and cancer are also typically ruled out at time of determining an IBS diagnosis. We Know A Way to Assist IBS Chronic Cases! There are definitely times where medications can really helpful for IBS. However, I find that IBS can improve if not resolve completely as we start to focus on how the individual’s whole body operates. I like to think of it as a system instead of each piece operating independently from one another. IBS is a syndrome with a myriad of possible causes as opposed to a single disease with a single cause. There are different underlying pathologies which could be present in IBS cases. By working together to uncover and address them, we can certainly help calm some symptoms from the inside out.